People think moving a piano is a simple task. But it is really not! A piano is a super intricate and delicate musical instrument that comes with a heavy price tag. It is so delicate that even if there’s minimum damage, it would need a lot of repairs. You need to be careful when trusting a piano moving company. Only the best moving company will be able to address your concerns and questions about Piano Moving. You cannot just trust any company to handle your piano moving task because there are many companies that are shady and do not know much about piano moving. Why Do You Need a Special Mover for Your Piano? If you are a lover of music and treasure your beautiful piano, you will always treat it with utmost delicacy. If you want to relocate your piano, you will probably search a lot about piano moving and storage near me. However, sometimes you have to take decisions abruptly and in those times you do not have the time or energy to move your piano yourself. Star Fleet Moving is a company that has all the equipment needed to handle your piano with care. Their trucks are designed to move pianos and their equipment and vehicles are of high quality that guarantee security 24/7. What’s more? A good moving company will always care about your things as much as you do. It will be professional and give proper attention to your piano so that it is relocated to its new location in its original form. What Is the Moving Cost of Piano? The cost of moving a piano depends on factors specific to the circumstances. It is very important that you are in an open conversation with the piano moving company so that you get an accurate idea of their fee schedule. What Is Needed to Prepare for Piano Moving? When you are moving from one place to another, there are many things that require your attention. This is when you start to look for moving companies that can safely and securely move your most treasured belongings. 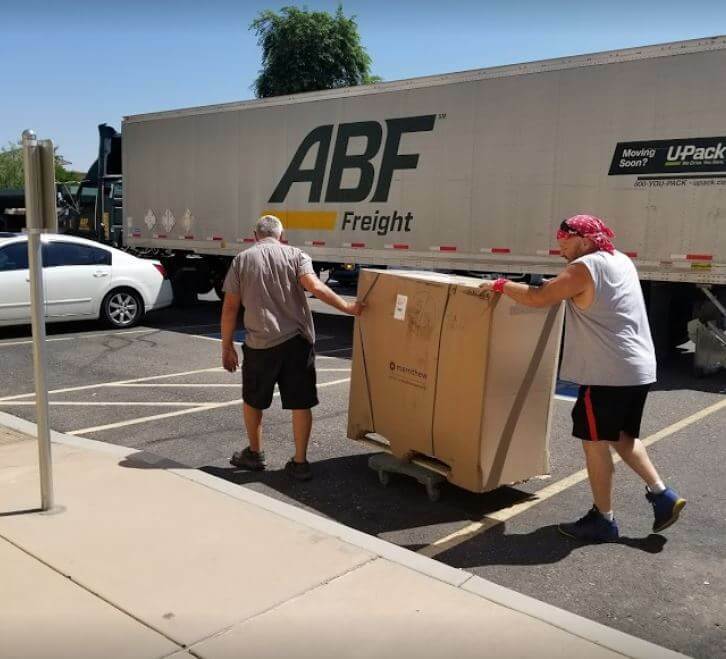 Star Fleet Moving company makes moving simpler for you, and if you are a musician you can take a sigh of relief that your piano and other musical instruments will be handled by the best professionals in Chandler, AZ. To move a piano safely to another location, you need proper loading, transporting, and placement of your instrument at its new location. Furthermore, your piano moving company should have a security monitored, climate-controlled warehouse. Since your piano is one of your most endeared items, you can’t take any risk while relocating it. Hence, when you are searching ‘piano moving and storage near me,’ make sure you check the offerings of Star Fleet Moving Company. Should You Hire a Moving Company in Gilbert, AZ to Move Your Things?